Nothing better than a good old Amish Chicken Casserole for dinner ! Add a salad or two on the side and you are set. Or vegetables .. however the weather permits. I found a recipe some time ago, here, which I wanted to try soon. However, I have so many recipes on my to-try-list that I rarely ever get to make them. My family is actually quite set on certain dishes, and usually request one of our older family favorites, long before I can decide which new recipe to try. Therefore, whenever I have no requests, I go to my list as mentioned before. What a hit with the family ! I adapted the original recipe I found a bit, but it was still a HUGE hit with my family ! And truly, this Amish Chicken casserole will be made over and over again in our house. 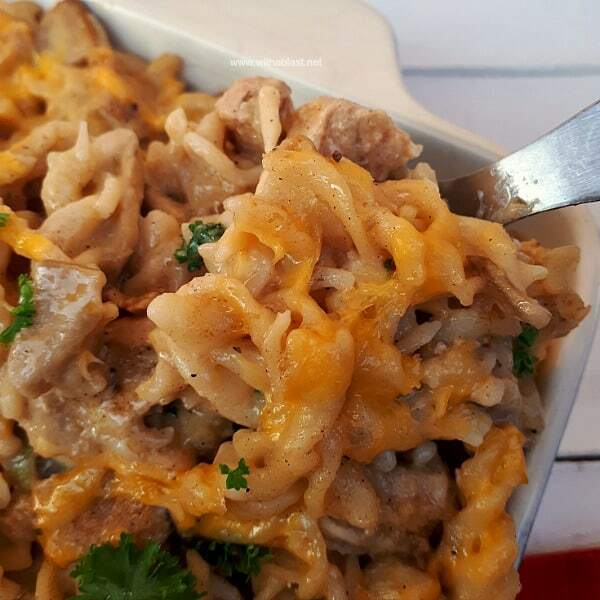 My daughter and her fiance are also curious about the casserole we all raved over, and I decided I will make it again this weekend when they come over for dinner on Sunday. I can already say, with full confidence, that they will love it ! Unbelievable how such a simple, everyday ingredient filled, recipe can turn out to be so tasty. 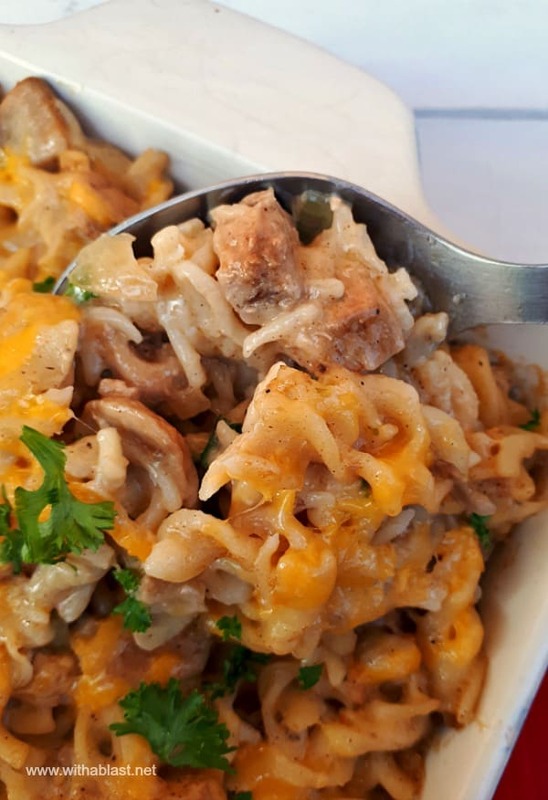 Well, tasty is an understatement for this casserole – it is totally amazing ! One thing to keep in mind though, take care with the final seasoning, as the Chicken Spice and the Stock already adds a lot of saltiness to the dish. I almost made the mistake of just sprinkling over Salt and Pepper, but fortunately tasted first. Serve with a side salad or two OR vegetables of your choice. Can't beat a good pasta dinner, this one looks great! What an excellent pasta dish, comforting and filling. Oh my goodness, this is the perfect pan of comfort food! My family would gobble it up. 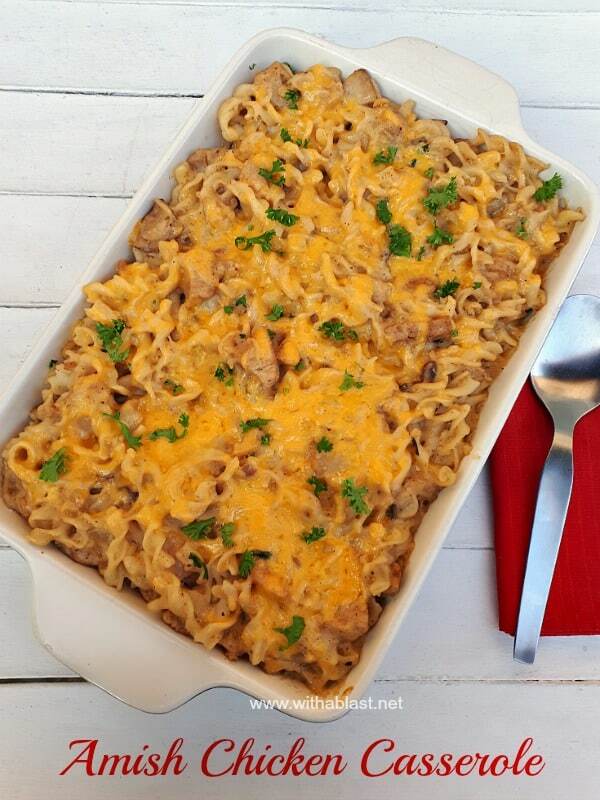 Thanks for sharing – we love a good pasta casserole. 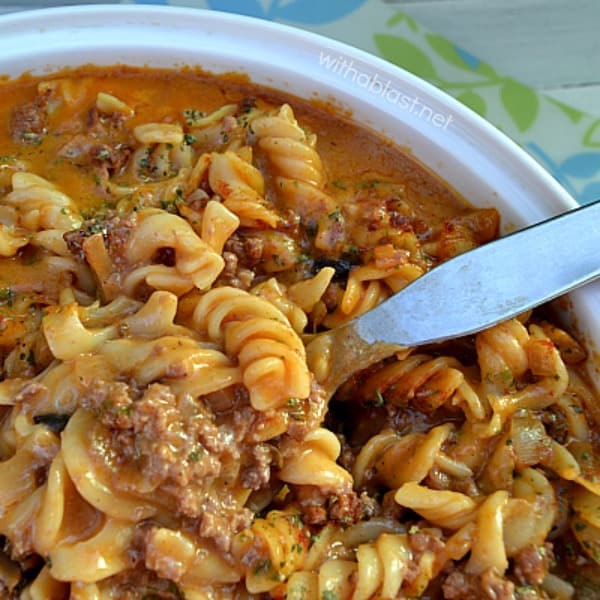 Our family loves pasta as well and this dish is an absolute winner. Thanks for sharing. What is "Chicken Spice?" I want to make this immediately- it looks SO good- but I don't know what that is. Thanks, in advance! It is a spice specifically to give chicken a bit more flavor (besides salt), and is usually available in the supermarket's aisle with the spices and herbs, but if you can not find it, plain salt and a dash of black pepper will do just fine 🙂 Hope this helps ! Do you mean Poultry seasoning? I'm not familiar with chicken spice? 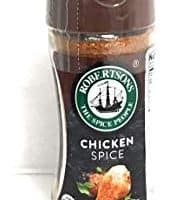 What is in chicken spice so I can try to replicate it? I’ve never heard of it before.